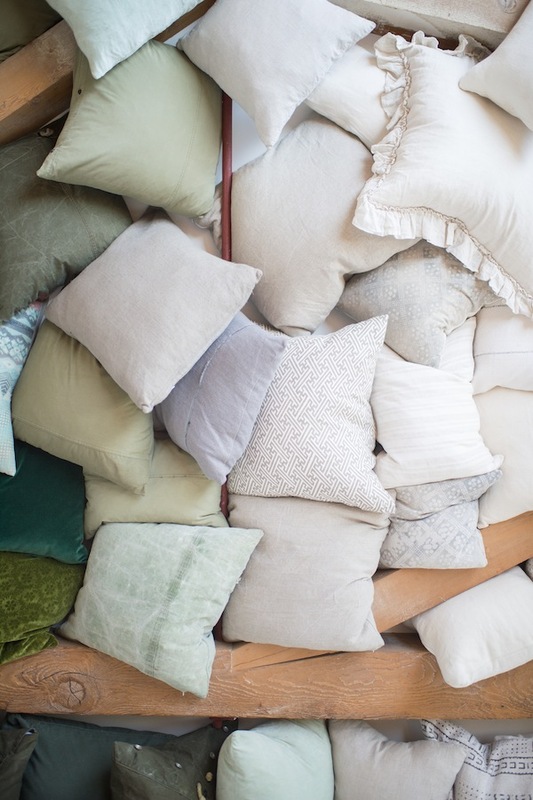 SMALL Pieces have a BIG impact. 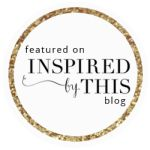 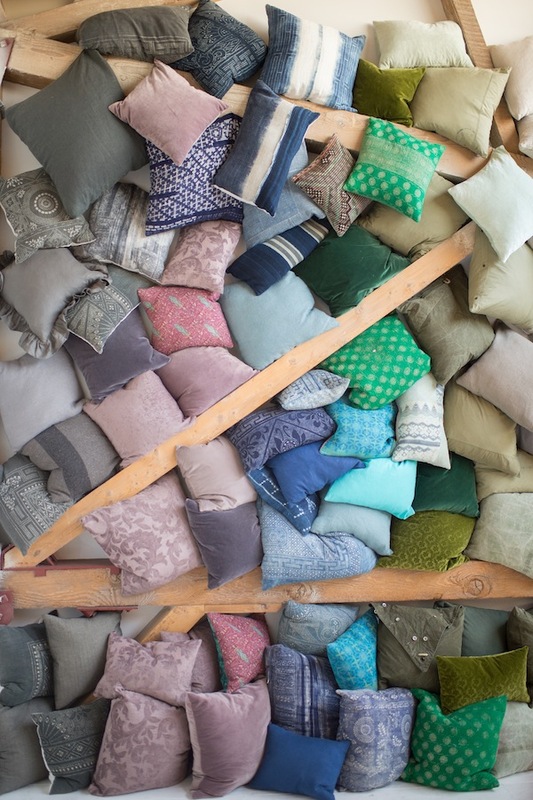 Hmong Batik Indigo, African Mudcloth, Vintage textiles, Kantha quilts, Reclaimed Army Canvas, European Homespun Linen, plus gorgeous Mohair and Velvets. 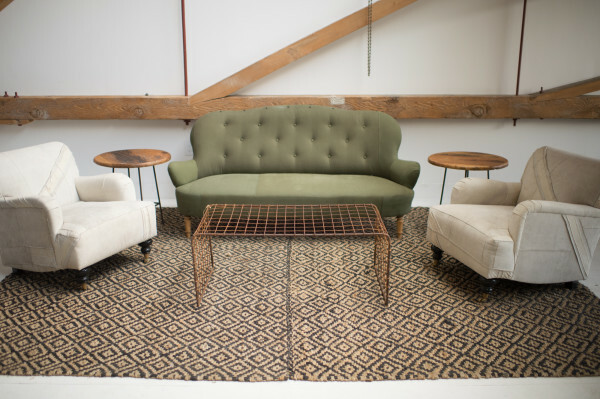 These are just a few of the materials we work with to bring a different perspective to a lounge setting. 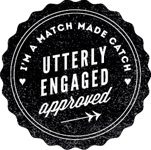 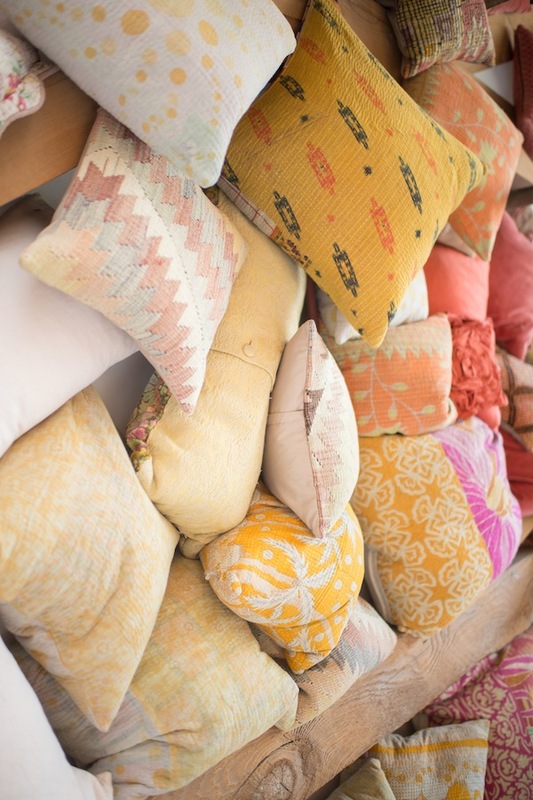 At your next event, let the small details do all the talking! 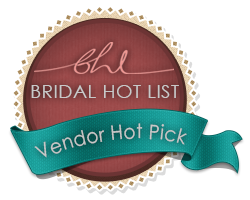 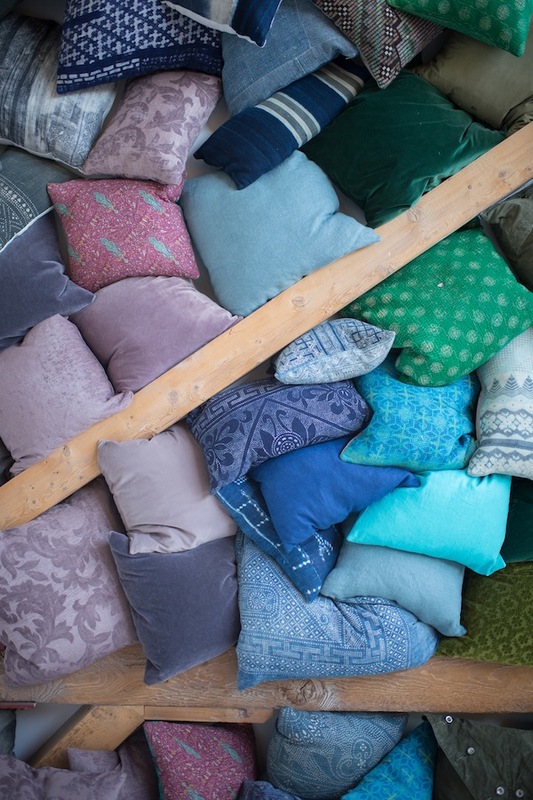 Take a look below to see a sampling of our current collection. 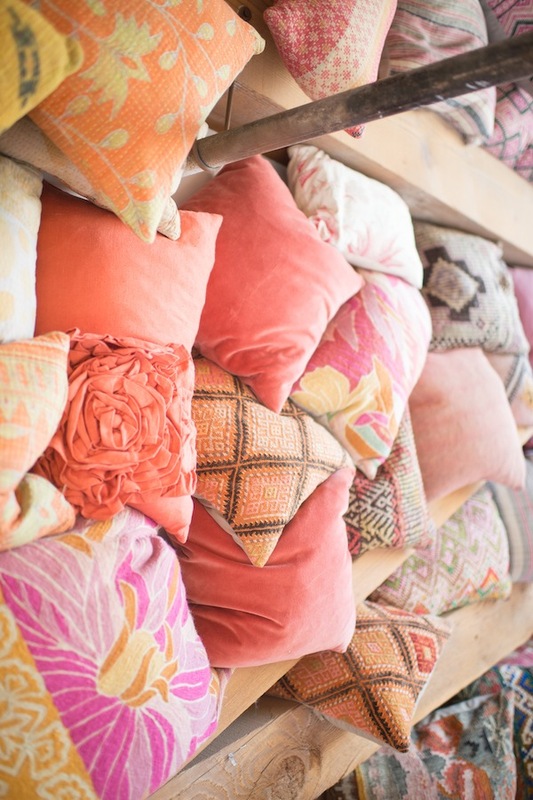 We are continuously creating new custom pillows out of exciting new textile finds and vintage remnants. 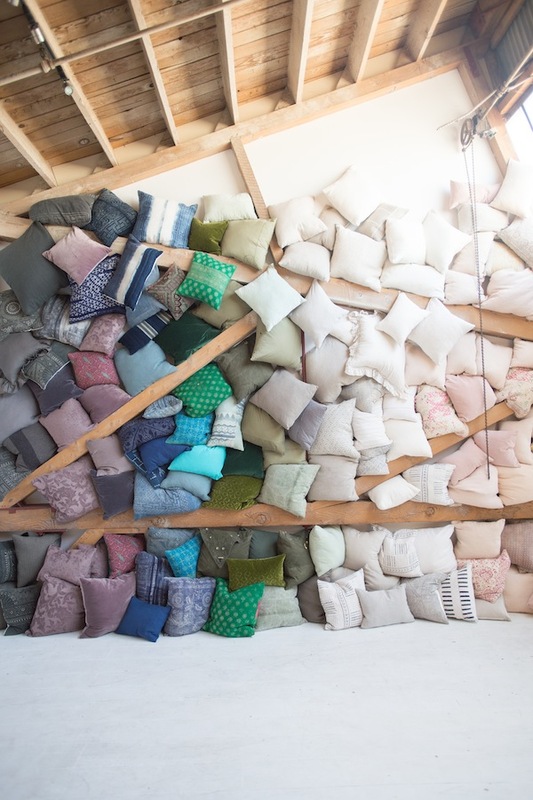 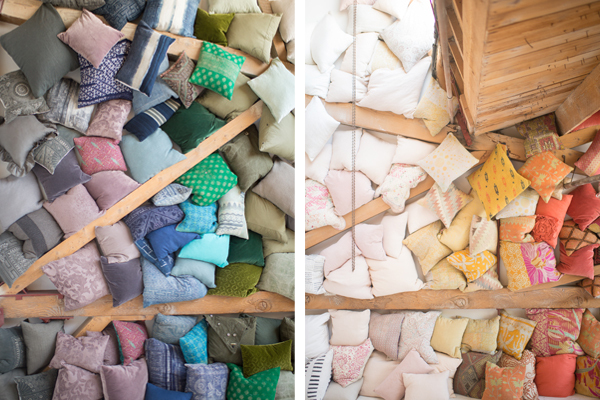 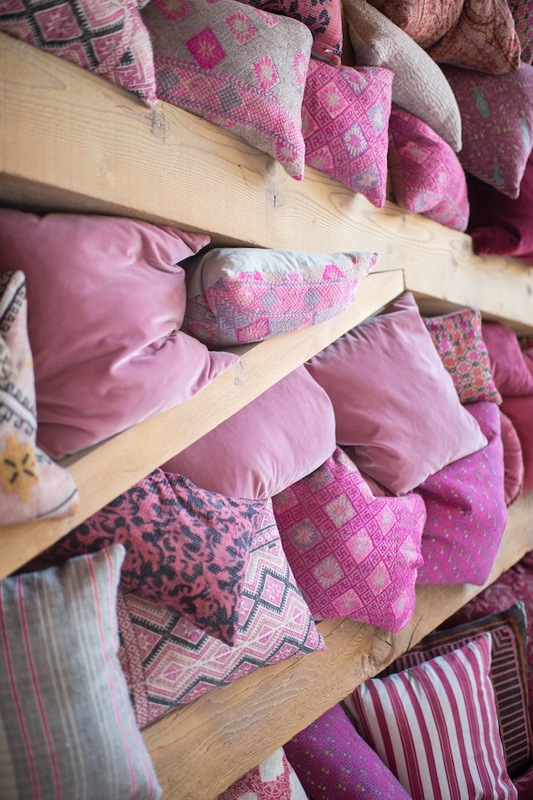 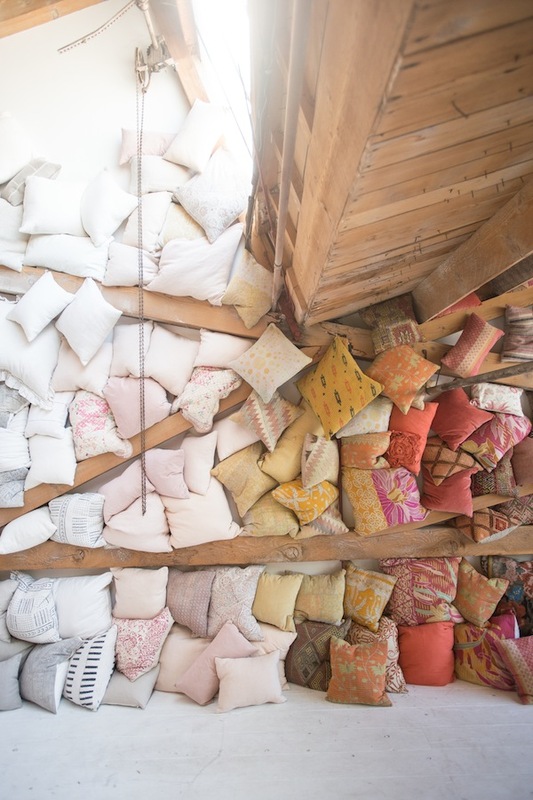 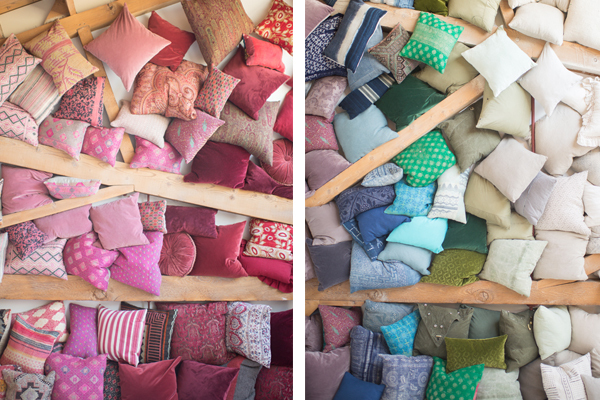 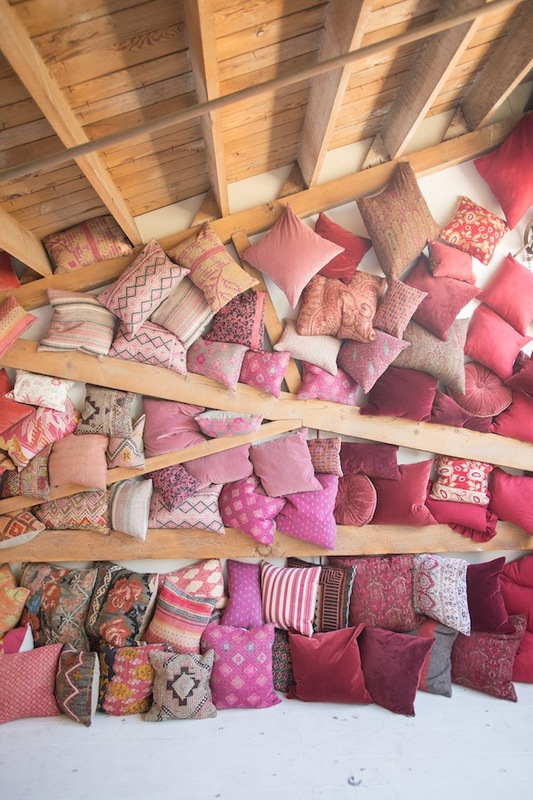 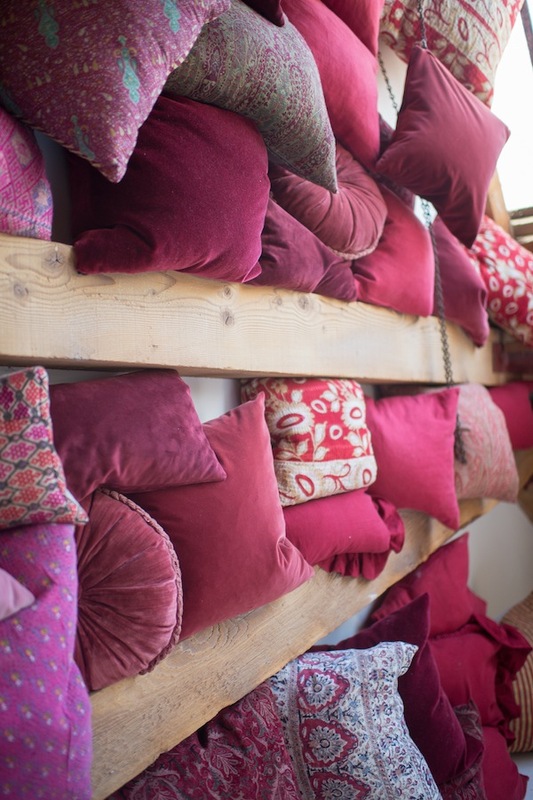 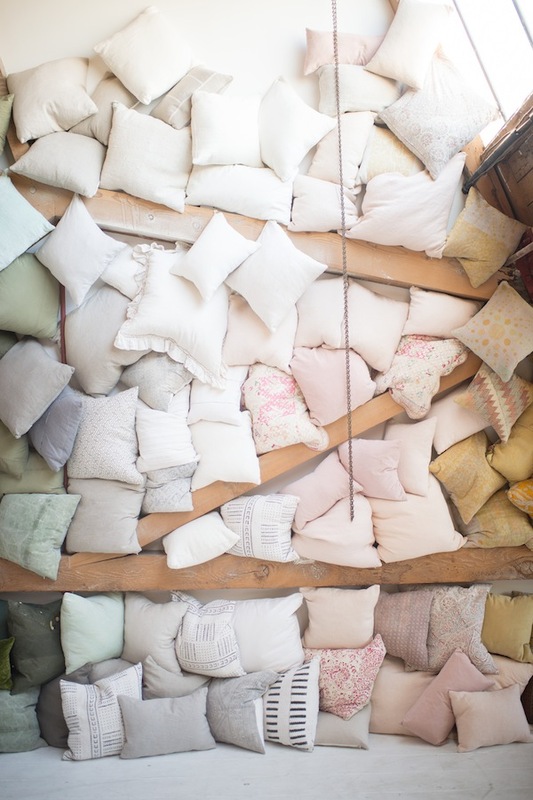 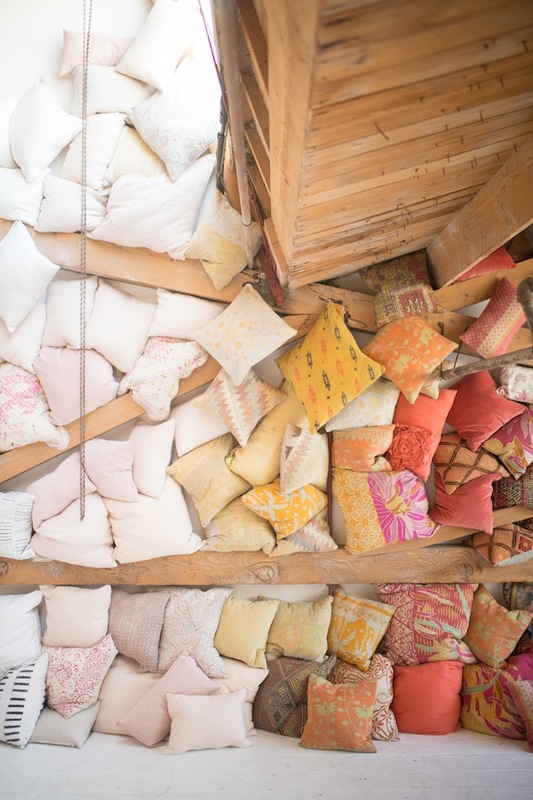 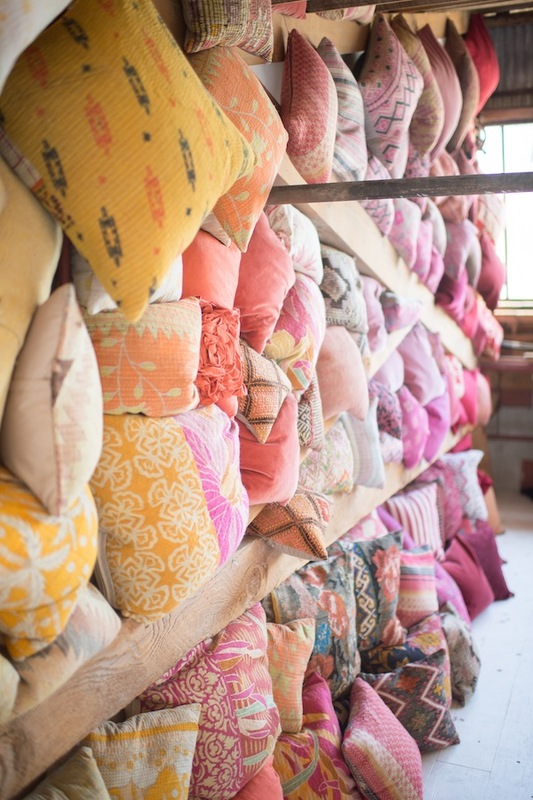 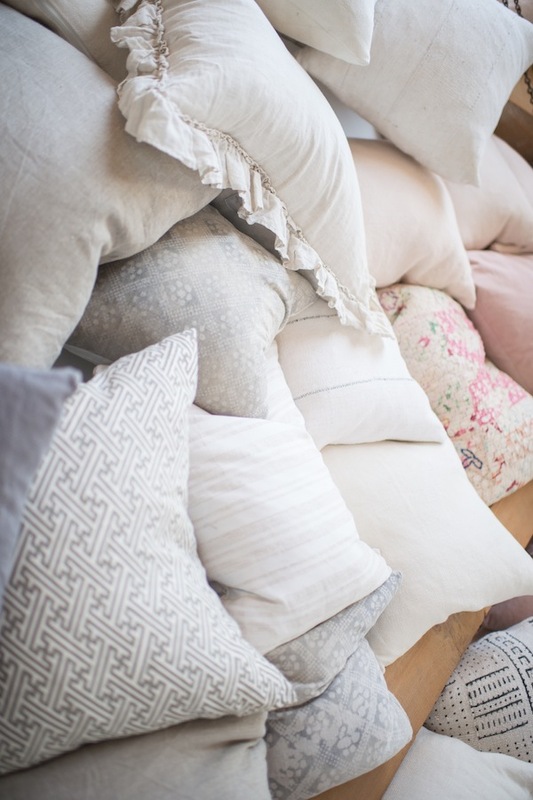 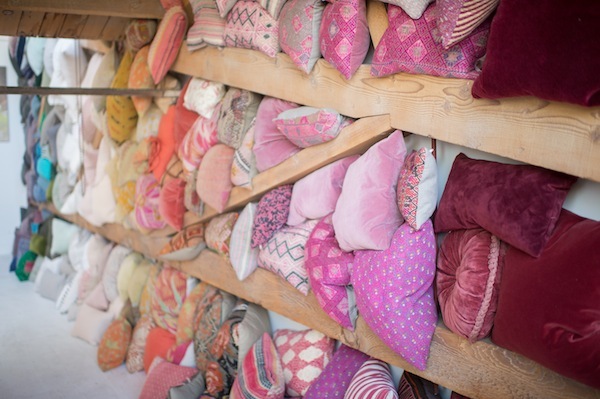 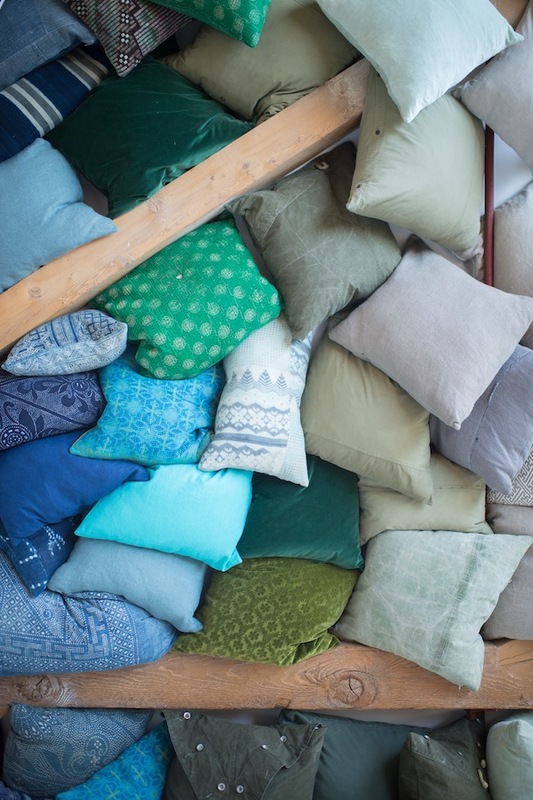 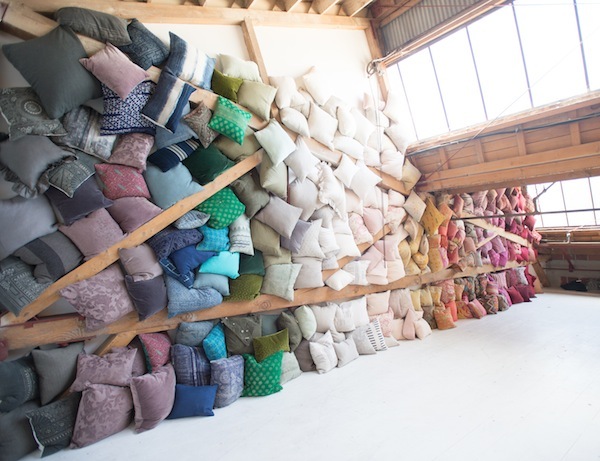 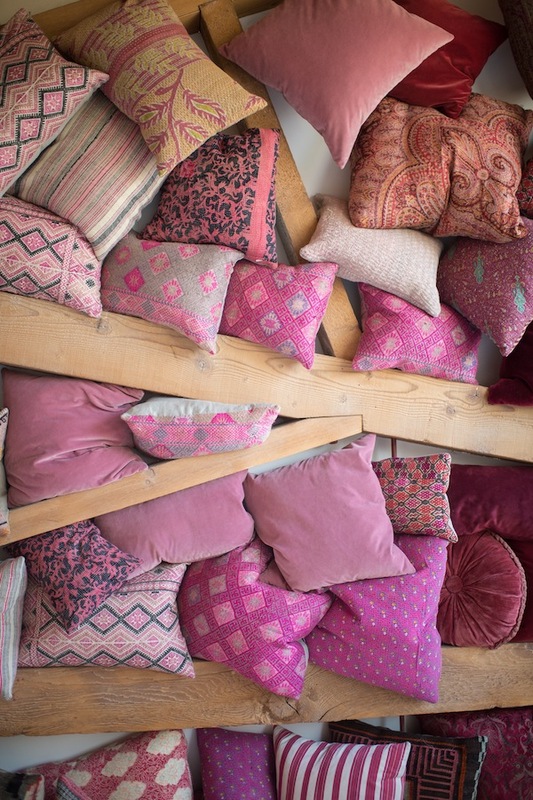 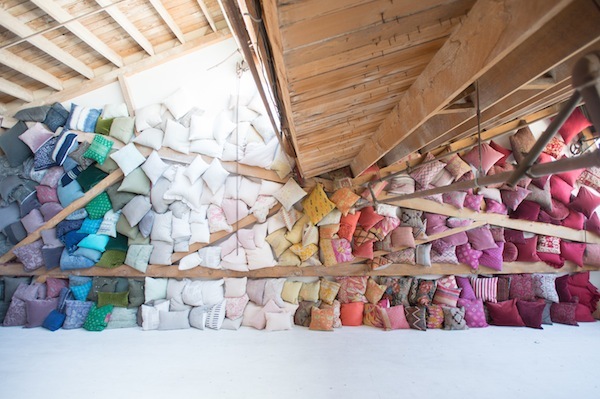 With hundreds of pillows in our collection we are bound to have the color and quantity you are looking for! 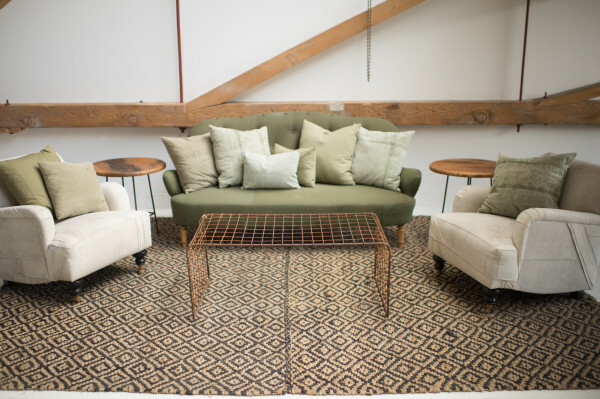 Adding pillows, to the lounge vignette below, brings the different upholstered pieces together for a cohesive + stylish look!